The new Lara was initially a relatively naive adventurer, a fresh archeology graduate not yet versed in the tomb raiding skills. 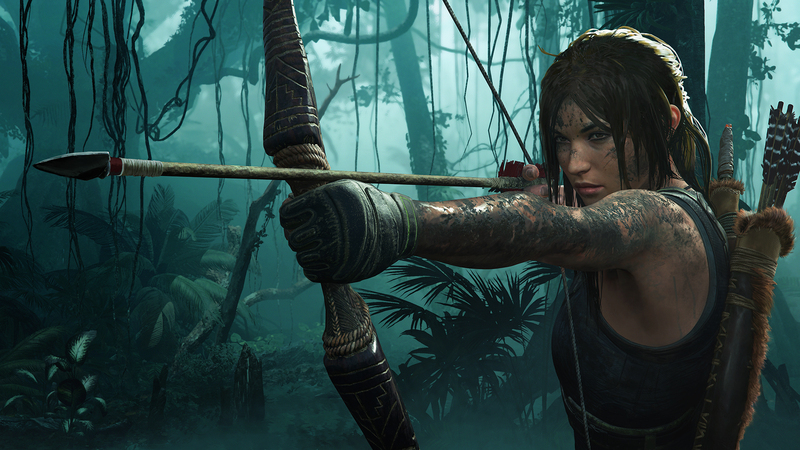 It was the perfect way to set up her new adventures, as players got to experience her growth through the first two games and finally Shadow of the Tomb Raider, which has been developed by Eidos Montréal for the first time (though with the supervision of Crystal Dynamics, currently busy with the Avengers project). After completing the game, I can say that this final chapter in Lara Croft’s reboot trilogy succeeds in coming full circle and defining her character better than it had ever been done before. While Croft had been hellbent on the pursuit of Trinity mainly to avenge her father and to deny them the powerful artifacts they’ve been seeking to remake the world as they see fit, she was blinded to everything else, perhaps understandably so for a youngster. In Shadow of the Tomb Raider, after famously triggering a potential apocalypse by acting rashly, she has the chance to meet a whole host of characters that eventually become friends of her. It’s quite the change for someone who, since the beginning of her journey to become the Tomb Raider, mostly focused on raiding ancient tombs and crypts and had to kill loads of Trinity mercenaries (not to mention various monstrosities) who stood in her way. The writing itself may not be exceptional, but it delivers on all counts and properly concludes her character arc. In fact, this improvement is also deeply rooted in this title’s gameplay. Shadow of the Tomb Raider features a few fairly large outpost hubs, including the largest ever for the franchise, Paititi. These are full of little stories and side missions that provide Lara (and, by extension, the player) with more context on the local population and the opportunity to help them with their troubles, reminding her that she’s really fighting against the likes of Trinity to protect the living. This isn’t an open world game, mind you. While the environments have a decent amount of exploration for those who want to look under every rock to find lore and resources, it’s still not quite the same thing as roaming one seamless region as traditional in many games nowadays. Truth to be told, in this regard the game feels much like the two previous entries and that’s actually the case for the combat system as well. Overall, Shadow of the Tomb Raider is clearly built on the solid action/adventure framework of its predecessors with only a few refinements added to the formula. There’s nothing wrong with that as the core combat and exploration mechanics were already tight in Rise, just don’t go in expecting major improvements. There are a few additions worth mentioning, anyway. When in the jungle, for instance, Lara can move from tree to tree above the heads of her enemies, which opens up new tactical options. Sadly, this and most of Lara’s new tools in the arsenal are only available for an extremely brief amount of combat scenes. The same goes for the much-touted improved stealth. The developers had announced Lara would be able to break line of sight and disappear in this game, but again, due to the way levels are designed this is seldom a real option on your table. It’s a shame, as Shadow of the Tomb Raider’s fights would have been even more fun than they already were if all these options were available most of the time. You can also craft fear arrows, which work much like a mind control of sorts as the victim goes crazy and begins shooting every other enemy in sight before succumbing to the madness. It’s a neat trick, albeit a bit overpowered provided that you can find the venom to craft this special type of arrows. As a whole, I would say that Naughty Dog’s Uncharted retains the crown in this genre when it comes to the combat system, also thanks to its superior AI. 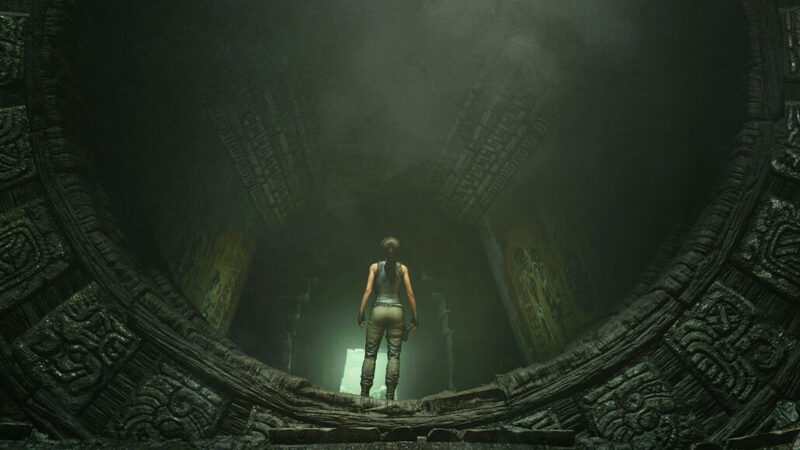 The opposite is true for the traversal and exploration, however, where Tomb Raider reigns supreme. Traversing the game’s environments is at once treacherous and satisfying as the game requires you to use all of Lara’s abilities to avoid all sorts of gruesome deaths (with impalement apparently being a favorite at Eidos Montréal) and progress towards the objective. Wall-running, a fan-favorite from the older Tomb Raider games, is back with a vengeance and there’s also the new ability to rappel. 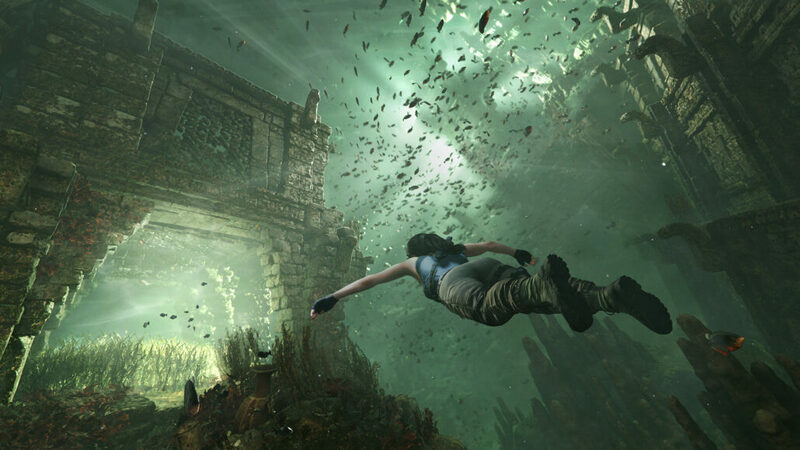 Compared to the previous title, an increased focus on underwater exploration is worth noting as well, giving a bit more variety to Lara’s artifact hunts. In a couple instances you’ll also have to hide in underwater bushes from piranha schools while passing through. Of course, the so-called challenge tombs are among the game’s highlights. Eidos Montréal said that there are more tombs this time around; while I can’t verify that claim as I haven’t found and completed them all yet, I can attest to their greatness, though I wouldn’t say they’re better than Rise of the Tomb Raider’s since those were already great to begin with. Possibly the greatest improvement made by the developers is that you’ll now be able to independently set the difficulty of the game’s combat, exploration and tombs. The impact of this single change can hardly be overstated in a game that’s split almost evenly across these three sections. It means you can get a proper challenge in the area of your best expertise while avoiding to get frustrated or stuck elsewhere. Whether you’re a puzzle mastermind or a combat ninja, you can now tweak the gameplay experience exactly to your liking. It would be great to see more games adopt this feature, frankly. Lastly, after completing the game you’ll be able to start a New Game + playthrough right away. Most games only add the feature with a post-launch update, while this one comes already equipped with it for a change. There’s one slight disappointment I have to mention before moving on to the technical side of the review. 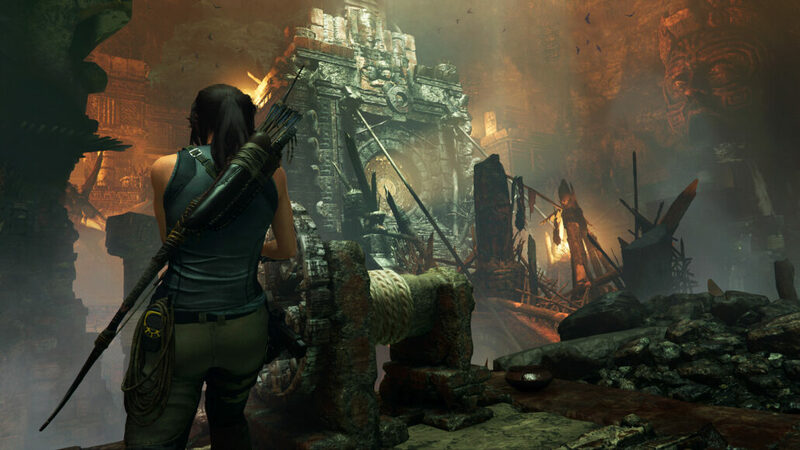 Shadow of the Tomb Raider, as most other games these days, banks heavily on the immersion factor with a combination of gameplay elements in addition to the audiovisual splendor on display. It’s even more of an annoyance, then, to see that the world remains completely static. Not only there’s no dynamic day/night cycle or weather system but, unlike in Marvel’s Spider-Man for example, time doesn’t even seem to progress with the story. When you come back to Paititi later in the story, it will be in the exact same state and you’ll find the NPCs in the very same positions, with a few of them still hunting fish in shallow waters to name just one scene. It is a nitpick, for sure, but also one that future games would do well to fix so that players can feel fully immersed in the adventures. From a visual standpoint, Shadow of the Tomb Raider is nothing short of excellent. Building on the strong foundation set with Rise of the Tomb Raider, the graphics and particularly the environments look amazing on the Xbox One X, thanks to the prowess of artists and programmers alike. Of course, to fully enjoy its potential you should be equipped with a 4K HDR display, and a Dolby Atmos sound system would complete the package as Shadow of the Tomb Raider (like its predecessor) is one of the few games built with the cutting edge surround sound technology in mind. I was lucky enough to play the game on such a setup and the experience was awesome. Xbox One X users (and probably PlayStation 4 Pro users as well) can pick between two modes: High Resolution or High Framerate. While playing on Microsoft’s console, I didn’t have any trouble using just the High Resolution mode as the game ran very smoothly most of the time. There were a few busier scenes with some frame drops, but nothing that could remotely harm the overall experience. By and large, these instances were also relegated to non-combat moments, usually in the larger hubs with several NPCs at once on screen (a first for Shadow of the Tomb Raider), with the notable exception of the final boss fight which, as in almost all games, has a lot going on. This might be the one occasion where switching to High Framerate could be preferable, though I managed to put down the boss even without doing so. The PC version of Shadow of the Tomb Raider is due to feature support for the NVIDIA RTX and DLSS technologies, coming with the GeForce RTX GPUs. Of course, the graphics cards aren’t available yet and the game itself should be updated with these features at a later date, but we’ll surely give both a test once they’re live. Reviewed on Xbox One X (code provided by the publisher). You can purchase the game via Amazon for your preferred platform.